We undertake an initial site visit to determine the visible characteristics of the site, local infrastructure, services and site location. The area development plan and other relevant planning policy documents are consulted prior to starting any design works. A fully comprehensive site survey is carried out and this forms the basis for the project design drawings. This survey will include any buildings, services, boundaries and adjoin buildings that are relevant to the project. Trial holes/boreholes to determine ground conditions will be done at this time, (subject to project size). The preliminary design is developed from our initial client briefing and consist of proposals for floor plans and elevations. The specification and materials for the project will be developed at this time. The final design will incorporate all developments from the initial design, full specification and working drawings for pricing. The final design drawings are now ready for submission to the Planning Authority. 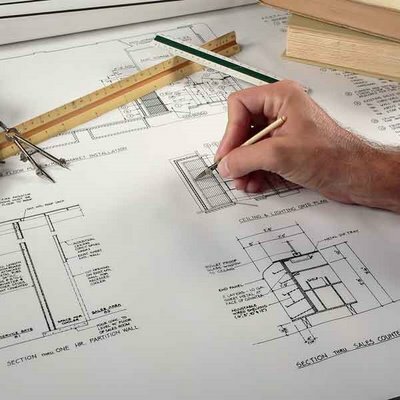 Planning is a legal procedure in which the local planning authority decides whether or not a project proposal conforms to the criteria set down in legislation. Alman Surveying will liaise with the planning authority during this process to obtain a decision based on our client’s requirements. Where necessary, a building control application will be submitted on your behalf. Building Control approval is necessary to satisfy the building control department that the materials and specification are compliant with current regulations. Alman Surveying can assist with contractor selection, site supervision and a full Project management service if required, in keeping with our “Inception to Completion” service. 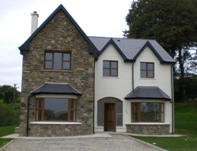 Edmund Mansworth has over 25 years construction experience, with an emphasis on housing, conversions and remodelling.